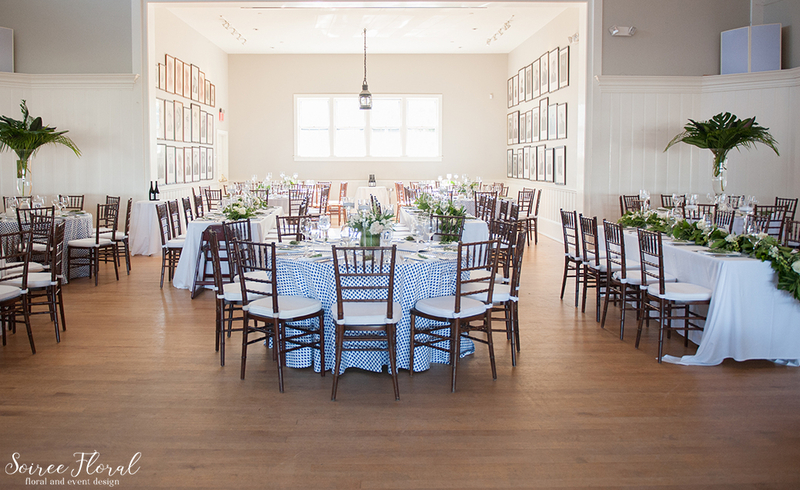 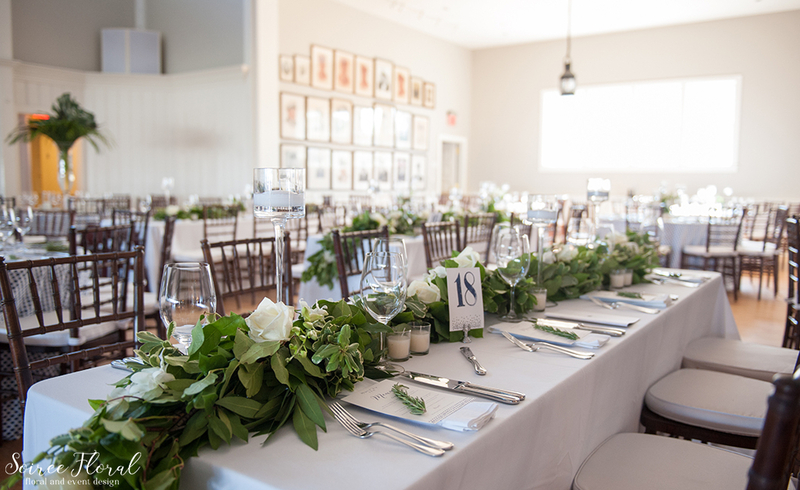 The Nantucket Yacht Club ballroom is one of those rare spaces that can take on almost any look. 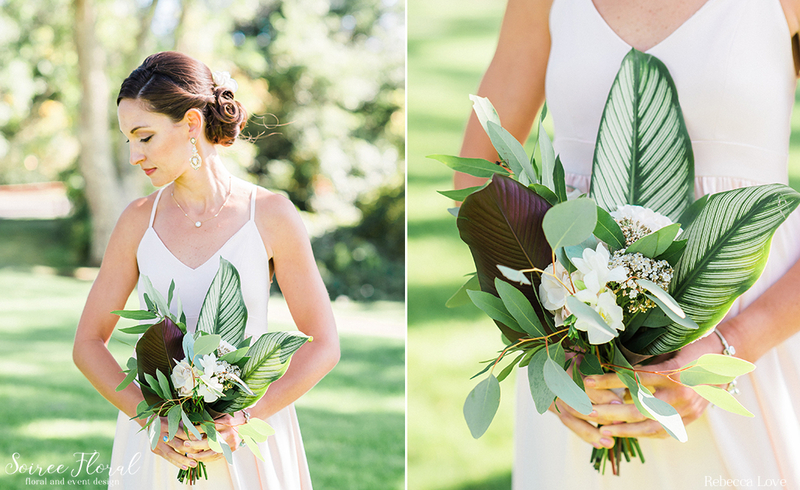 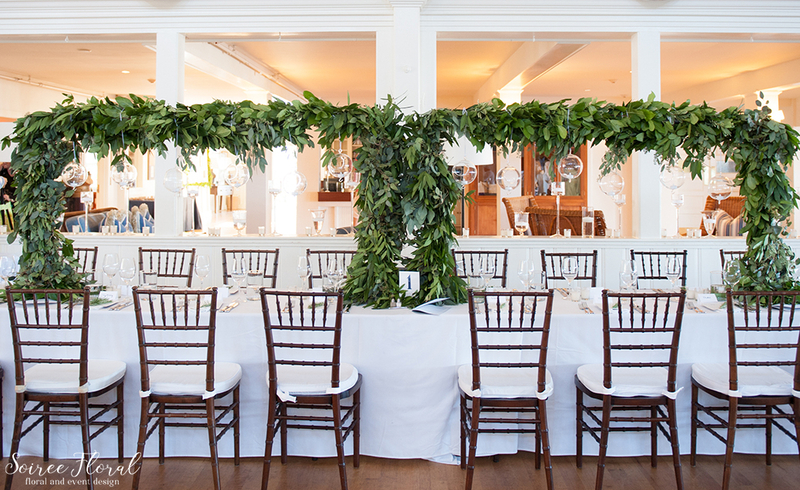 For Marjorie and Tony, the aesthetic was “leafy greens” with a hint of tropical, a nod to her family’s connection to Hawaii. 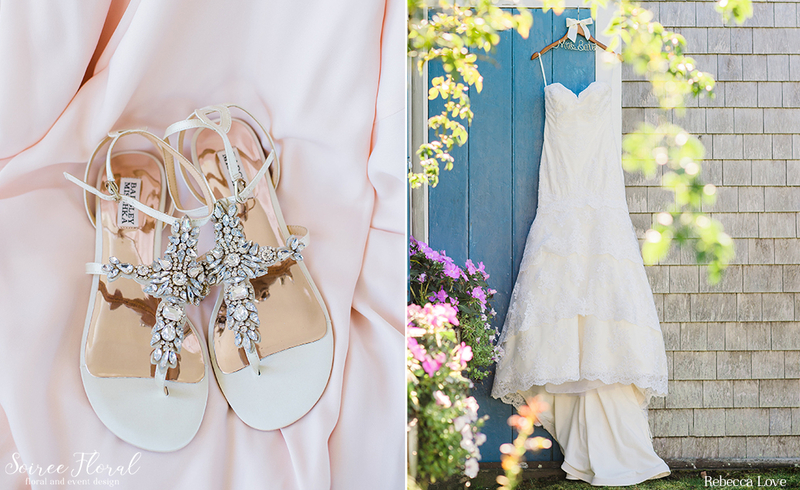 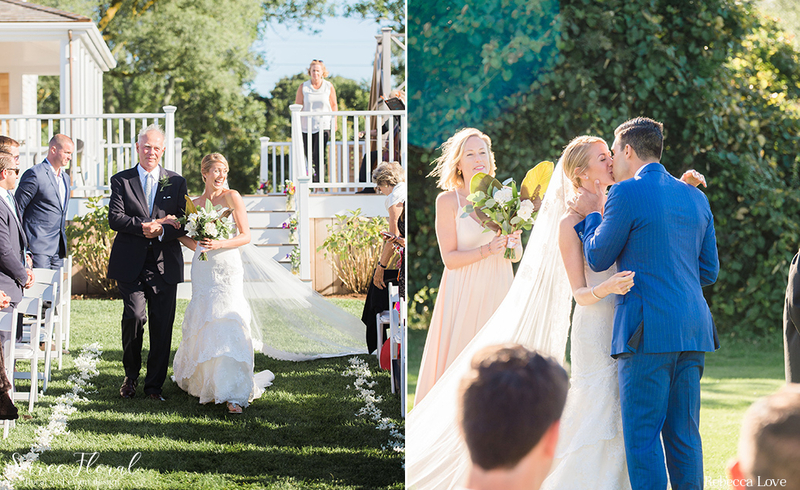 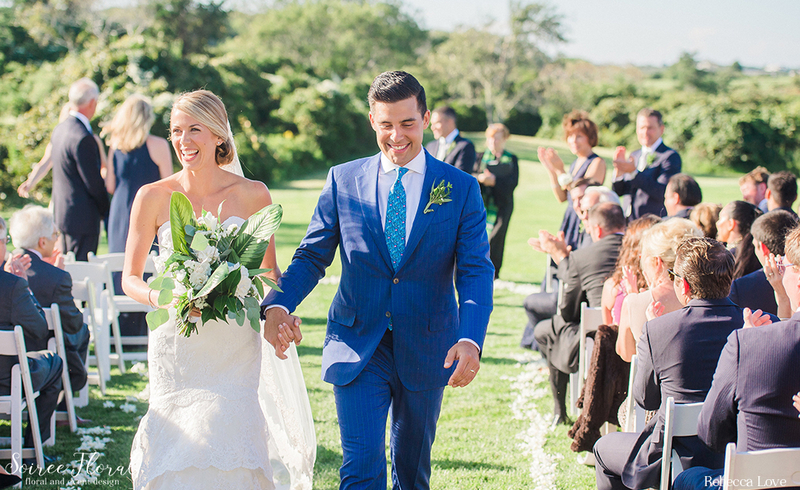 Their ceremony took place at her family’s island home, with nature as their backdrop. 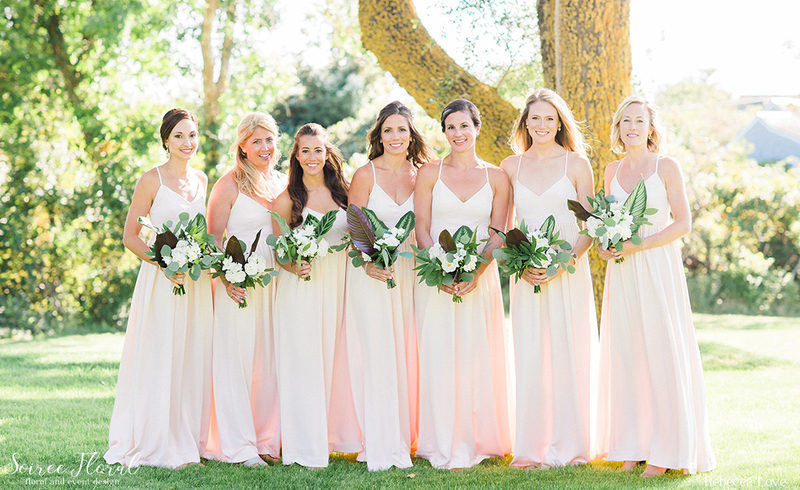 The bridesmaids wore soft pink dresses and carried bouquets with a mix of foliage and white blooms. 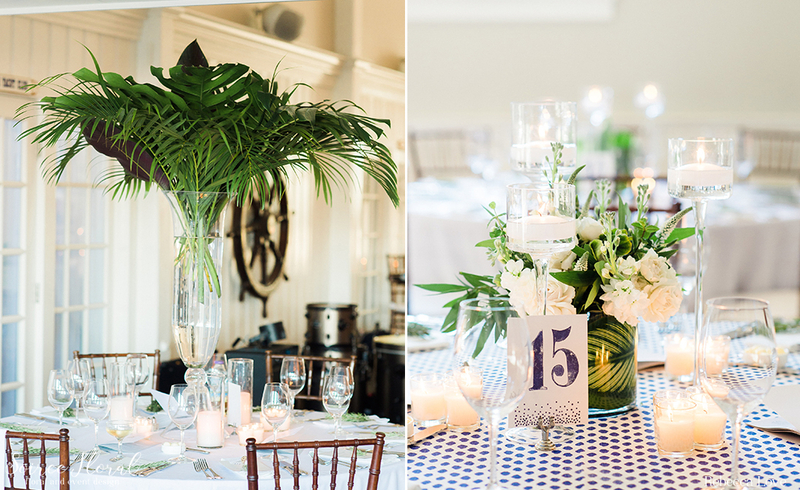 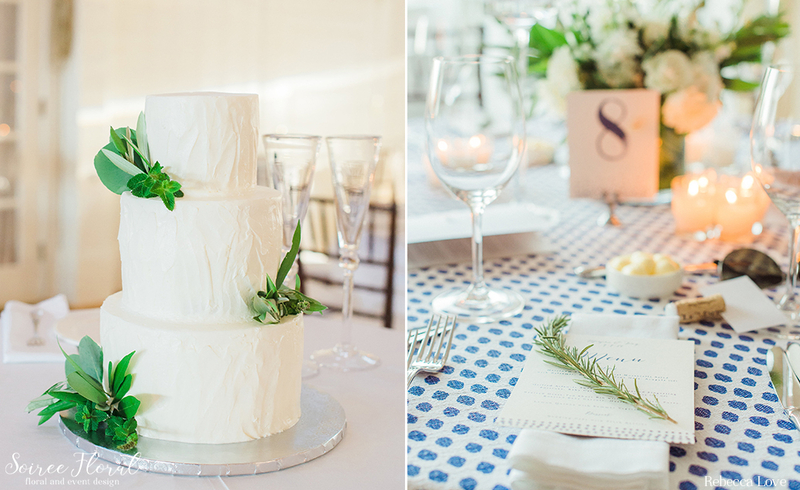 At the Yacht Club, guests were greeted with an abundance of candlelight and greenery. 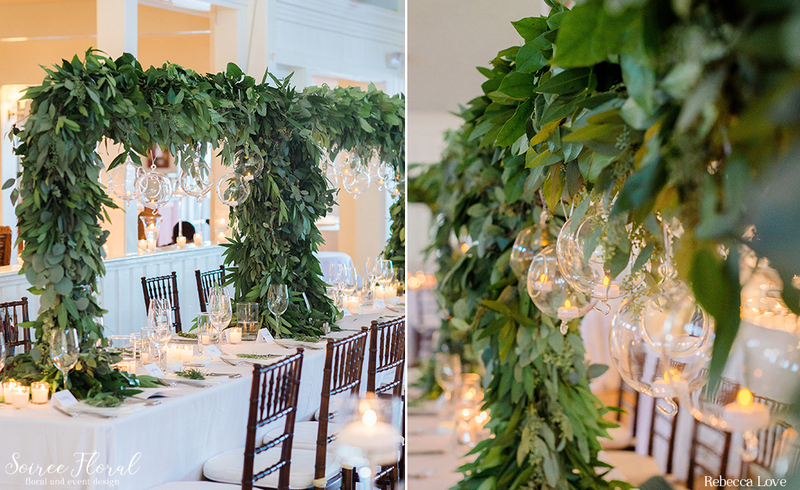 Mixing high and low designs, we created several leafy green looks to draw the eye around the room. 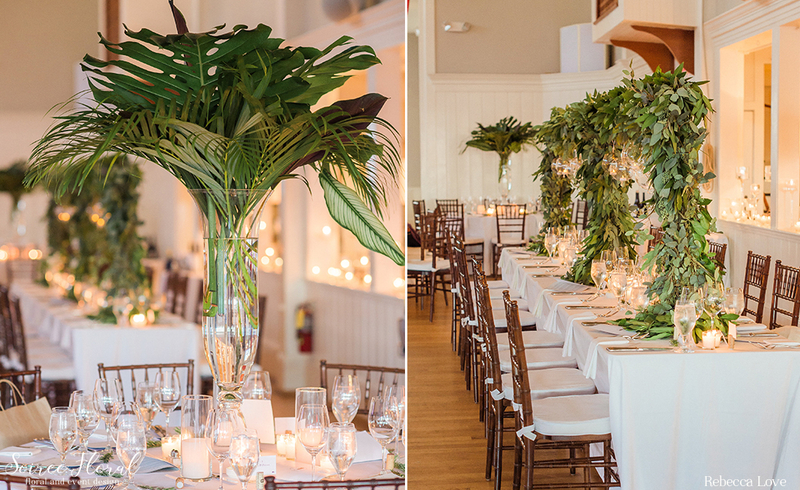 The designs included a mix of cylinder arrangements and candlelight, long garlands and floating candle vases, tall designs of lush tropical foliage and one show-stopper of a head table with our tabletop trellis covered in greenery and adorned with hanging globe lights. 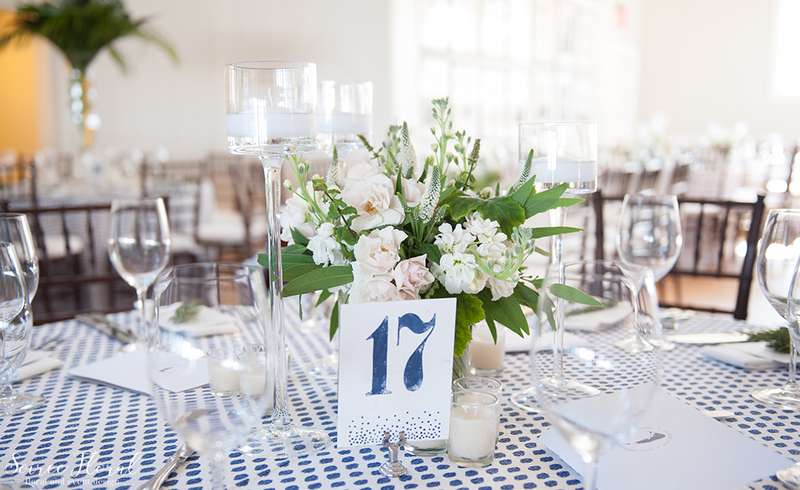 Rentals from Placesetters included printed linens for the reception tables with a freeform dalmatian dot print that added a hint of modern whimsy to their big day.